Before UFC Hall of Famer Ken Shamrock decided to inject himself with three different steroids, he was slated to take on former WWE employee Bobby Lashley on Roy Jones Jr’s boxing/MMA hybrid “March Badness” event in Pensacola, Florida. Now, RJJ and his Square Ring Promotion company are looking for Shamrock’s replacement. On Wednesday evening, the California State Athletic Commission announced that Shamrock had tested positive for Norandrosterone, Noretiocholanolone, and Stanozolol, which will cost him a $2,500 fine and a year-long suspension. MMAWeekly.com reported that prior to inking Shamrock, RJJ and Co. were close to signing British fighter James McSweeney to face Lashley. There has been no word if they have reached out to McSweeney to fill in for Shamrock. McSweeney has been perfecting his MMA game at Jackson Submission Fighting in Albuquerque, New Mexico. 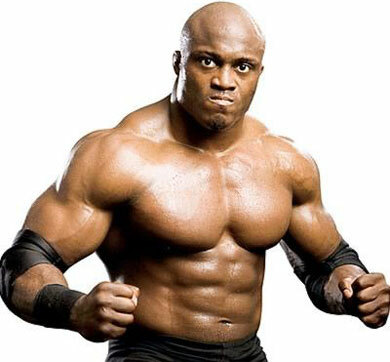 Lashley originally made his MMA debut this past December where he posted an impressive 41-second TKO of Joshua Franklin. The American Top Team trained fighter is eager to live up to the massive amount of hype surrounding his latest career choice. RJJ’s March 21st event will mark the first hybrid event of this magnitude. The former eight-time boxing champion will headline the night’s pay-per-view card against Omar Sheika. Guida was winless in 2008, dropping all three of his professional MMA bouts, and has only won three of his last 10 fights. He is best known for the hissy fit that he threw on “The Ultimate Fighter 8” after he was not allowed by the Nevada State Athletic Commission to compete in his preliminary bout because he came in overweight and out of shape.